kohara yasuhiro — Dai Ichi Arts, Ltd.
Kohara is a man apart, an individualist. 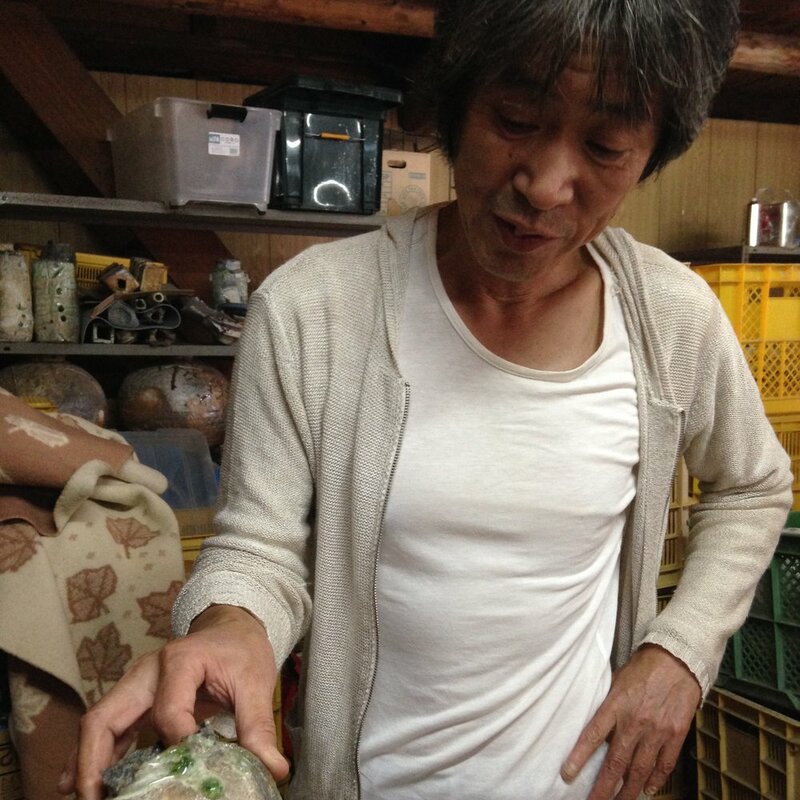 Born in Shigaraki in 1954, Kohara says that he is utterly self-taught, in the sense that he had no formal schooling in ceramic art, and he apprenticed to no master. Shigaraki is, however, one of the six ancient kiln sites of Japan and is today home to hundreds of potters. Kohara’s aesthetic sense and technique have undoubtedly been shaped by the strong Shigaraki tradition and challenged by the competitive atmosphere. very shibui (sober, quiet, refined), but with an underlying strength, almost macho quality. This is very self-assured work – spontaneous, direct, emotional – much like the artist himself, and the landscape he calls home.